The Kia Sportage has received quite a few upgrades for this new model. It has a number of new and exciting features, plus some features that have been improved from the last edition. Today we're going to help you learn more about all of these changes by taking a closer look at the 2017 Kia Sportage near Philadelphia PA. This small-size crossover might just be the perfect vehicle for your needs. The Kia Sportage has two engine options to choose from. The first is 2.0L that provides 240 horsepower. It even has the option of the upgraded 6-speed automatic transmission and key brake enhancements. It helps provide a smooth and efficient ride. The other option is the 2.4L engine that is able to produce 181 horsepower. No matter what trim level you choose, you will be impressed with the performance capabilities of the Sportage. The Kia Sportage has a newly designed front grille. It features elongated headlights that are expertly placed and it has available quad LED fog lights that help you see and be seen. 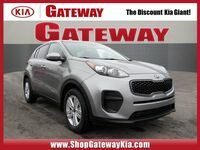 The 2017 Kia Sportage has an available Smart Power Liftgate that opens automatically by sensing your key. It will give you hands-free access to your cargo area, which is great for when have your hands full. The 2017 Sportage isn't just impressive when it comes to performance, it also has a wide range of safety features that drivers will appreciate. The Sportage has a number of advanced safety systems to help you stay safe and secure on the road. These technologies include an Anti-Lock Brake System, Hill Start Assist Control, Downhill Brake Control and Electronic Stability Control. All of these features are designed to respond to challenging driving situations. 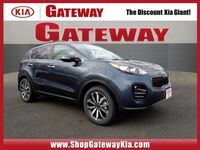 If you are interested in learning more about the 2017 Kia Sportage call or visit Gateway Kia of Warrington. We will be able to answer any further questions you might have. 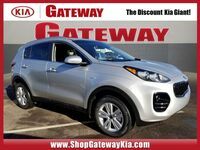 We can even help you schedule a test drive near Philadelphia PA. Come see what other drivers already love about the 2017 Sportage. 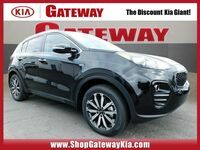 Interested in a 2017 Kia Sportage?